We are bound and determined to make 2013 a year full of fun and inspiration!! With the holidays behind us, I'm sure you can all use a few extras of a certain kind of card in your stash. So this week's challenge is all about that! Please allow me to take this opportunity to say Thank You for playing with us. and we are thankful for the inspiration you bring to our players gallery with your creations. as our monthly guest designer sponsor! 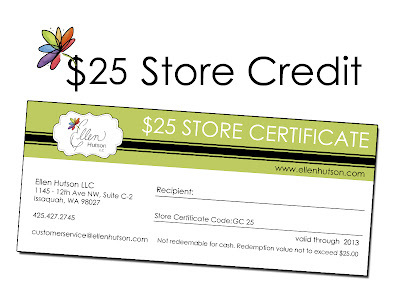 Ellen Hutson LLC began their adventure in November 2006 as an on-line web store committed to bringing you the finest paper crafting products and related product education. They are always looking to provide their customers with quality products, excellent customer service, and education and inspiration for the products they carry. You can shop with Ellen at www.ellenhutson.com and sign up to receive their newsletter on the home page of their store. As well, please join them to be inspired and learn some fun techniques inthe CLASSroom, or stay up-to-date on Facebook, Twitter, and/or Pinterest. Let the inspiration parade begin, led by our honored guest! My name is Geri Greening. We live in Dauphin, Manitoba, Canada, a small town about 2 1/2 hours north of North Dakota. I have been married to my dear hubby Dan for 35 years. We have two grown children, Eric & Brady. I work part time for the federal government which allows me plenty of time to craft! In the summer, I enjoy spending time gardening and doing yard work. Once the chilly winter temps roll in, I can be found playing in my craft room for hours and hours. 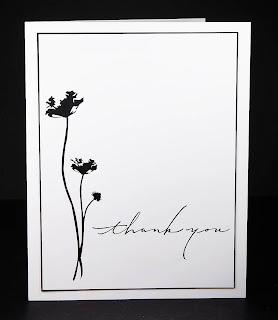 My fascination with this great 'sport' of card making started in 2004 when a friend showed me a Stampin' Up catalogue. I have been happily crafting ever since! 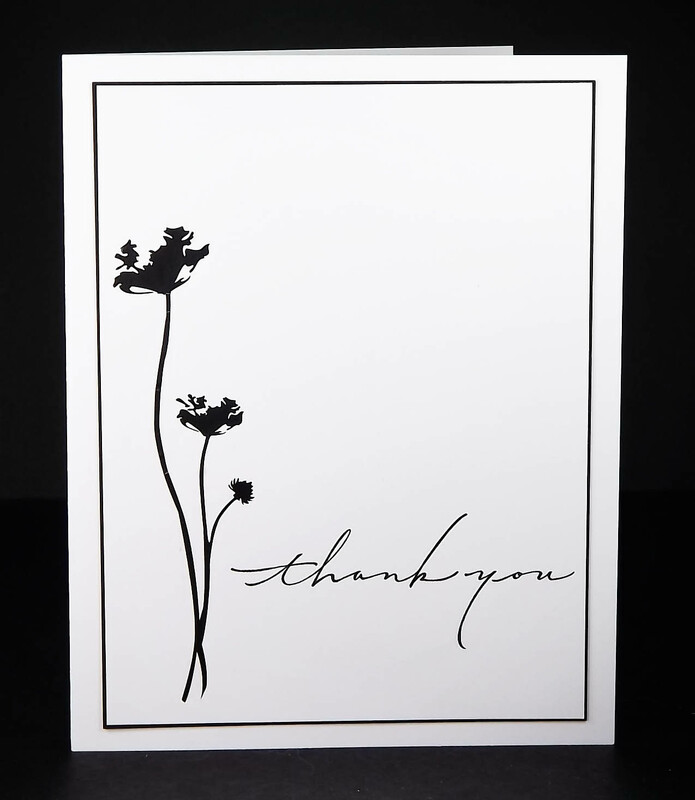 Thank you to Michele and the amazing design team for their never ending source of inspiration. Great inspiration from the DT!!! Brilliant cards as usual! You guys are such an inspiration. Thank-you! Wonderful inspiration! Thanks for the much needed thank you challenge. So happy to be joining you again--happy 2013! Well done, DT! Such fabulous inspiration ladies and wonderful challenge...thank you ! All beautiful cards. Such a talented bunch of ladies! Lovely cards ladies and what a great sponsor you've arranged for 2013! 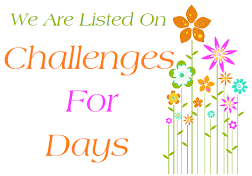 This is the first time I have joined in with your challenge and I am determined to play along often this year. The DT inspiration is gorgeous as are the entries. Thank you for the great challenge. Hello DT members..I hv added my card on #199..but its not visible...so i have tried to upload the same on # 205.